PCI DSS Version 2.0 has landed! The PCI Data Security Standard (DSS) has a three-year lifecycle, over the course of which the PCI Standard Security Council (SSC) follows technological developments, and gathers input and requests from QSAs and QSA certified organizations, for the purpose of updating the PCI DSS. Until now, the PCI DSS version in use has been version 1.2 which was released in October 2008. Therefore, at the end of October 2010, PCI DSS version 2.0 was released by the PCI SSC. As a QSA who has led numerous PCI certification processes, I chose to hold a round-table yesterday in Israel for leading enterprises required to comply with the PCI standard, in order to present and highlight the significant differences between the versions and assist these organizations with the adaptation to and preparation for the new requirements. Version 2.0 will be valid from January 2011, however organizations already in process with version 1.2 will be able to continue certification with this version until the end of 2011. Clarifications regarding Cardholder Data (CHD) environment scoping. Guidelines regarding virtualization with an emphasis on hardening procedures and configurations. Further details on DMZs, namely separation of organizational and internet networks. Guidelines for organizations that issue credit cards regarding the storage of Sensitive Authorization Data (SAD). Increased flexibility regarding cryptographic key management with regards to change management procedures and dual control. Increased flexibility that enables the implementation of a risk management program as an alternative to critical patch installation in the short-term, according to requirement 6.1, that requires that critical patches be installed within one month from their release. Recognition of other other leading international standards, such as CWE and CERT for the purpose of Security Code Review. 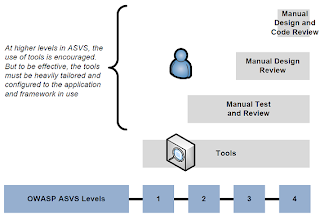 In addition, version 2.0 requires an application security expert's involvement in processes of security code review, in addition to an automated tool. Increased flexibility with regards to the saving, storing, and consequent deletion of CHD with remote access upon business need only; until now, according to requirement 12.3.10 it has been prohibited to save CHD locally in any circumstance. Microsoft has released an advisory (2458511) about a new zero-day attack vulnerability discovered for Internet Explorer which enables remote code execution. IE users should be aware and download the patch upon its release - which is expected in the next few hours. "The vulnerability exists due to an invalid flag reference within Internet Explorer. It is possible under certain conditions for the invalid flag reference to be accessed after an object is deleted. In a specially-crafted attack, in attempting to access a freed object, Internet Explorer can be caused to allow remote code execution." Microsoft is continuing to monitor this vulnerability, but expects the patch to mitigate the risks involved with using IE. At Comsec, we are often times exposed early on to innovative information security products and technology as part of our ongoing work in the field. Comsec prides itself on being "vendor neutral" in our consulting services; this however does not change the fact that we many times encounter products we just find really neat. We have chosen to dedicate this blog post to a cutting-edge Data Leakage Prevention (DLP) and Information Protection and Control (IPC) technology called IQProtecter, provided by Secure Islands, since it impressed us with its capabilities on a professional level. While, there are numerous DLP and IPC products in the market today, we have recently had the opportunity to experience this technology firsthand, and find that it delivers an advanced and much-needed solution through a unique approach that provides an interesting twist on existing solutions – giving this product an added fresh factor. But feel free to read about it yourself. Many organizations today have trouble controlling access to data that is classified as sensitive, seeing as it is many times transferred via numerous channels utilizing different technologies. These companies find themselves facing the continual challenge of ensuring that files classified as sensitive do not lose their classification with the dynamic and deperimeterized working methods employed today. The Fresh Factor: Existing DLP solutions usually attempt to forestall the leakage of sensitive data as it tries to pass through the various organizational exit points such as IP networks or exits at the endpoints. Secure Islands' new solution removes channels, exits, and users from the equation – and uniquely embeds persistent protection and classification within the data itself, at the moment of creation or initial organizational access. How They Do It: Leveraging predefined parameters, group policies and other methods of digital rights' management, the IQProtector technology performs a rapid content-aware, infrastructure-agnostic, usage-based discovery process - analyzing and classifying data accessed during actual business activity, and creates an enterprise-wide mapping of where sensitive data resides, who accesses it, where it is sent, and how it is used. This, in effect, facilitates a number of different issues and processes within an organization, including: regulatory compliance, business policy definitions, classification, control, compartmentalization, encryption, and overall ongoing analysis. Comsec Consulting, will be hosting a breakfast event featuring this ground-breaking security technology September 16, 2010, at the Van der Valk Hotel, Breukelen, the Netherlands - attendence is free, but requires registration in advance. To register email: uscham@comsecglobal.com. In addition, Comsec will be presenting at the Microsoft Open House dedicated to Secure Islands' technology, October 4, 2010 in Raanana, Israel. To register click here. Comsec Consulting is Recruiting...and We're Looking for You! Comsec is looking for an Information Security Client & Project Manager for Relocation to London! This position will provide the right candidate with an opportunity to tackle new and exciting challenges in the fast-paced and leading UK information security market! An in-depth knowledge of the Information Security field – Mandatory. Experience in project management – Mandatory. A sales and business orientation. Ability to manage several client portfolios and projects simultaneously. English at a mother tongue level. A willingness to relocate to London for a period of 2-3 years. For further information or to apply for this position (CVs in English only), contact us at: jobs2@comsecglobal.com! The Open Web Application Security Project, better known in the AppSec world as OWASP, released the new OWASP Top 10 most critical Web application vulnerabilities for 2010 (which is updated about every three years). Since this list is so highly regarded in the AppSec community, I felt it important to highlight some elements. 1. Not just statistics –This time around OWASP didn't simply rank weaknesses/vulnerabilities by prevalence, but changed the model and decided to rank the Top 10 by risk (of which the vulnerability is only one factor). This is a new weighted approach, and gives a better picture of the overall risk. 2. A nice element is the new tool provided in the document that helps your average user assess their risk level. Albeit this matrix is a bit more complex than the NIST SP800-30 model which is pretty straightforward (compare figure 1 and 2), it is quite a useful tool for risk assessment. 3. Onto the Top 10 itself – The PHP-oriented Malicious File Execution and Information Leakage vulnerabilities were removed since their weighted risk potential is lower than the two new risks. The Security Misconfigurations vulnerability appeared in the 2004 T10 was removed in 2007 – and has now made a comeback. 4. It should be noted that if the OWASP Top 10 was more frequently published, Unvalidated Redirects which is mostly manifested in Phishing attacks and authorization bypass would likely have been included quite a while ago—since it has been relevant for a few years now. 5. In general, this is a good piece for awareness purposes, and to teach about common risks, but organizations should note that there are plenty of other risks – risks that result from specific technologies integrated within your organization, and that the OWASP T10 is only a starting point. Also, users should be cognizant of the fact that the OWASP T10 are only relevant to Web applications—and client-server apps etc. are subject to additional risks such as buffer overflow and others, that are quite common to languages such C/C++. Mobile World Congress - New Mobile World? New Threats? With the Mobile World Congress taking place this week, and the unveiling of a new generation of mobile phones that are becoming more advanced and technologically complex, there are two clear trends that can be identified as potential security threats. The threats that arise from using these advanced phones, which are in essence small computers--and the data that is accessed through them--namely social networking sites, and by default, is stored within these phones. There are constantly new platforms and OS’ introduced, from Android and Web OS through the new Samsung Bada, Symbian, BlackBerry, and the new Meego Nokia/Intel collaboration, which are all part of a what can only be likened to a “gold rush” of opportunity, and many of the companies involved do not take the time to properly integrate security measures into their development lifecycle, in order to not miss the profitable boat. The diversity of operating systems and platforms posed something of an obstacle for evildoers until recently, as attackers didn’t quite know in which direction to target their attacks and at which specific platform, whereas Windows is the leading operating system for desktop and laptop users, there wasn’t any clear-cut target amongst Smartphones until the iPhone. The iPhone has presented a whole ‘nother ball game. According to Tech Crunchies, iPhone sales have reached a record-breaking 42.5 million handsets across the globe, and another 11 million are expected to be sold by 2011. The iPhone’s success was quickly identified by software developers to create any imaginable mobile application – from banking applications to silly games, and in turn, as a victim of their own success, has become a target for many attackers looking to gain profit from this phone’s popularity. Until 2009 the mobile world had been much more limited in its capabilities, however 2009 was the year of the Smartphone, with devices enabling much more advanced Web access features and integration options, media capabilities, and providing millions of applications that provide access nearly limitless data, while their users have not yet learned to adapt their perceptions to these highly-advanced devices. If in the past Smartphones, such as the BlackBerry were designed and built specifically to respond to business and enterprise needs for email use on the go, and as such security for these more limited capabilities had been taken into account from the onset. The iPhone, on the other hand, was targeted at consumers, and security measures were only implemented almost as an afterthought, while in the meantime, due to its popularity and ease-of-use many enterprises adopted this phone in their organizations without properly considering the threats involved. Apple targeted a younger population looking to be more socially in-sync – providing applications for Facebook and Twitter, Gmail, and myriad games. Thus with its initial release, the iPhone did not provide any encryption capabilities. With the purpose of becoming more enterprise-friendly, Apply quickly understood the need to include additional security measures in the iPhone. As such, Apple released encryption fixes with the latest iPhone model in 2009; which unfortunately was still not enough to prevent the spreading of two well-known iPhone viruses, the most popular being the less harmful the Rick Astley virus and the second being a virus that used the same method as the Rick Astley virus - but was more cybercrime oriented and attempted to steal information from these devices much like Phishing. These were mostly due to a lack of awareness and jailbreaking of handsets by consumers that were not cognizant of the threats involved with performing such actions on their phones - namely exposing their handsets to remote access over the Internet by installing the SSH service. That said, at the recent Black Hat convention in early February potential vulnerabilities in the latest iPhone encryption were indicated due to a design flaw. A large part of the problem lies in the consumer’s mindset. Although consumers are still accessing the same websites that could have the same potentially threatening content and malware, according to a survey by Trend Micro, many Smartphone users don’t even enable the built-in security options, and are sure that surfing the Web via these devices is safe or at least as safe as surfing from a PC or laptop, despite the fact that there is no virus or malware protection at all. Be sure to integrate security throughout your development lifecycle and take the time to perform proper threat modeling to identify all of the potential threat factors. While the business need to release software as quickly as possible is understood, the number of victims that can be harmed by insufficient data security is too large to even fathom, and common breaches such as Cross Site Scripting, cryptographic flaws, and SQL Injection could constitute a veritable disaster. Be aware that your employees are walking around with mini-computers that contain and store sensitive data, from corporate data in emails, to pictures, and documents. In addition, due to the fact these are small computers, these phones can be accessed quite like any other disk or flash drive, data can be extracted, and viruses spread into corporate LANs. Enterprises need to start taking this into consideration, and need to establish proper policies and procedures for the employee use of these devices, and to institute the proper security measures required to cope with these threats. If, until now, a phone was just a phone – with some messaging and a camera capabilities – these smartphones now contain much more sensitive and potentially endangering data. In addition, while the perception is the exact opposite, users should be well-aware that these devices are by far less secure than a desktop or laptop computer, and as such one should function accordingly. Be aware of the security threats involved, that have the potential of compromising your privacy, when sensitive data is accessed via phone applications, and software installed from unknown and unsigned vendors. 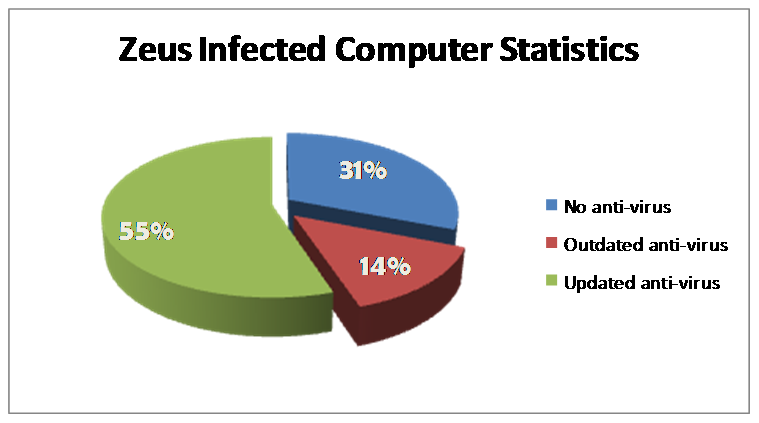 Much like your home computer, there are plenty of viruses, and malware out there that can cause much damage. With a device that stores all of your personal contact information, with potentially exposing pictures, and private passwords to your email and other accounts, identity theft could not be an easier feat.